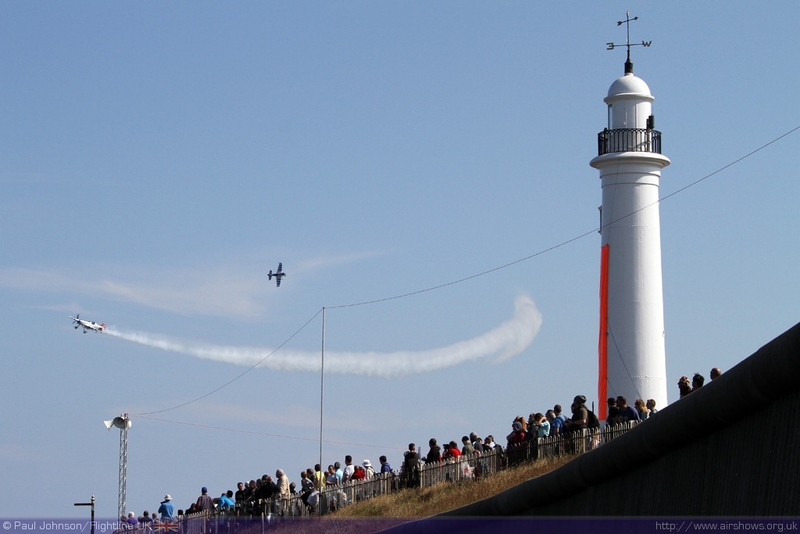 Sunderland International Airshow is one of the biggest seaside airshows in the country and the largest such event in the North East. 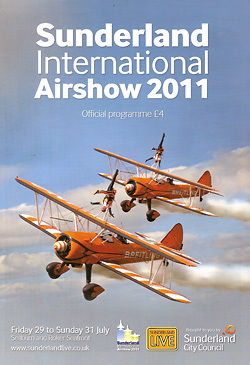 Over the years, the show has been a very popular event drawing in crowds well in excess of 1,000,000 over two days. 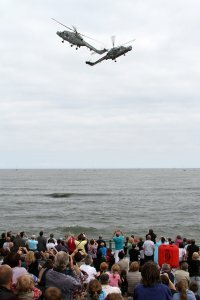 Those large crowds traditionally make this event very popular with the military but a number of different circumstances this year led to military participation in the air at least being very limited this year. 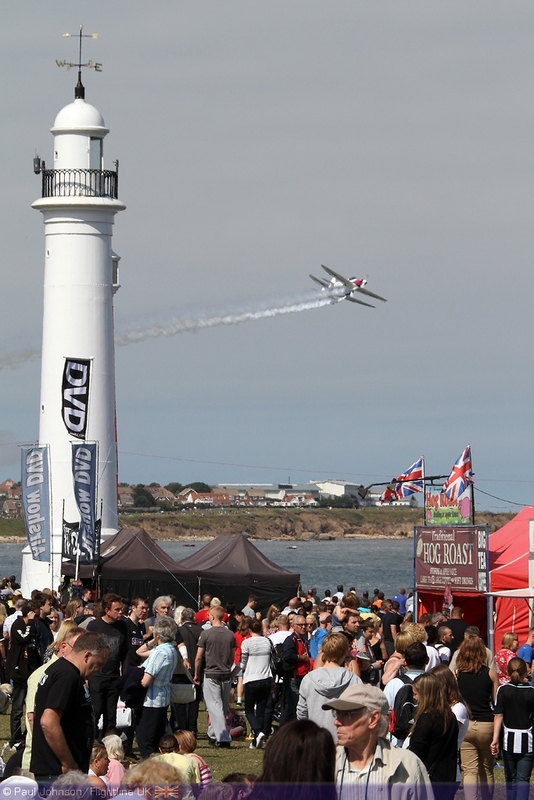 A number of shows in the past have cancelled their events in such circumstances but full credit must go the Sunderland Council for persevering with the airshow and bringing together a very different and very enjoyable show. 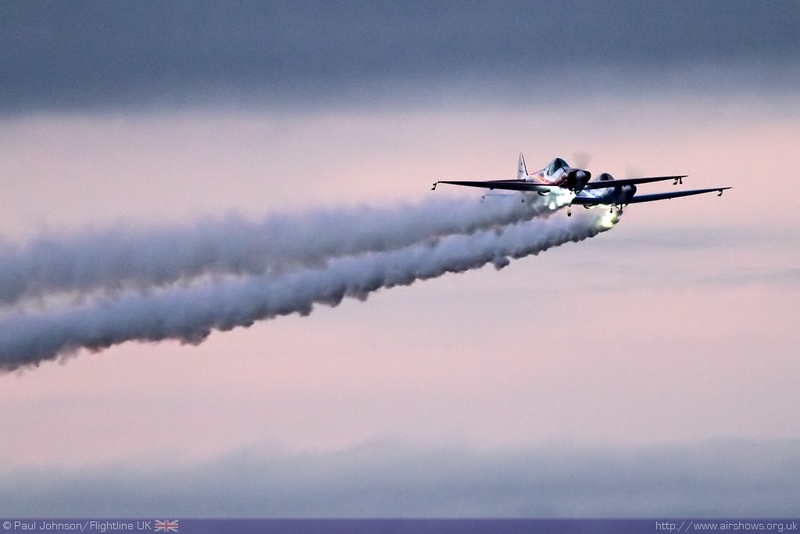 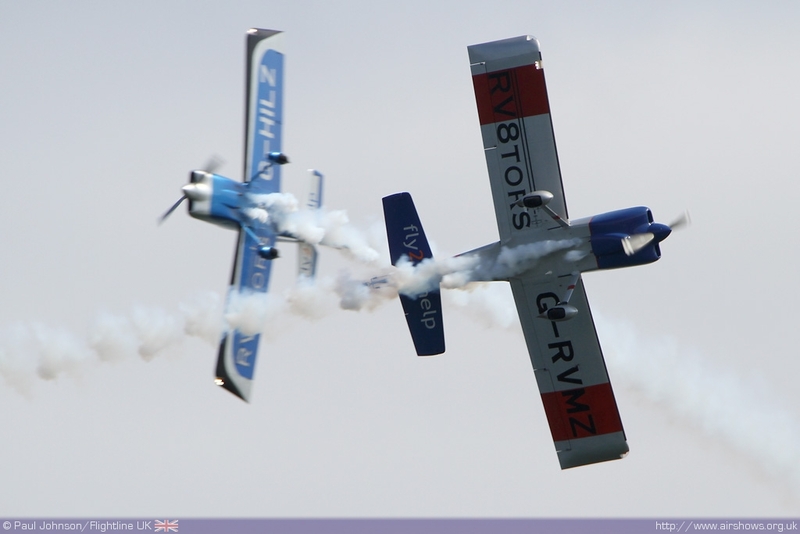 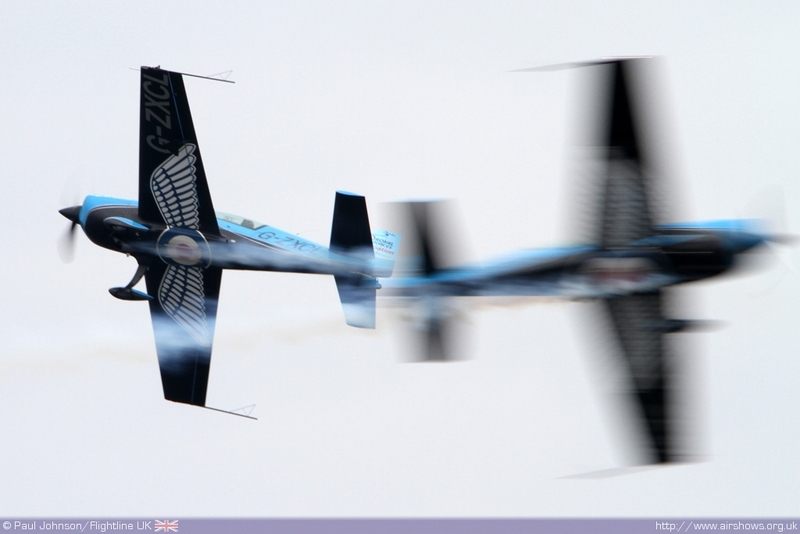 Airshows generally set their dates very early, often just after or before the preceding event. 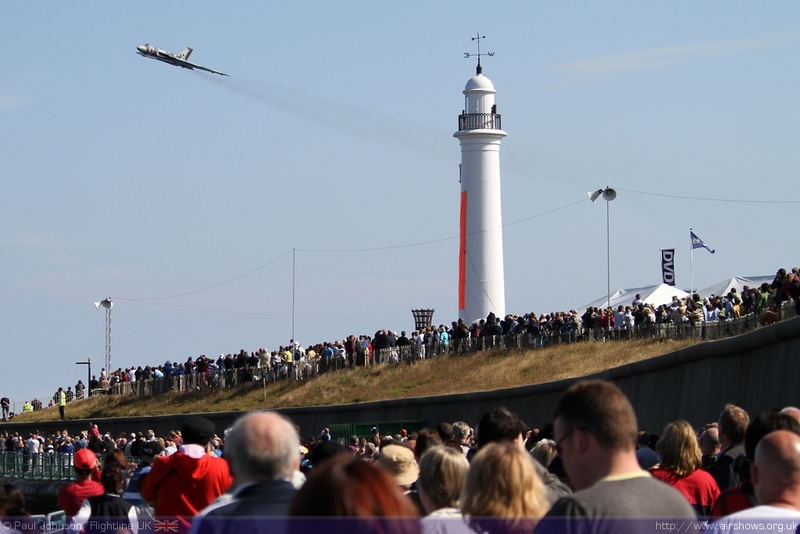 This was the case with Sunderland which did set in dates well over a year in advance of the 2011 event. 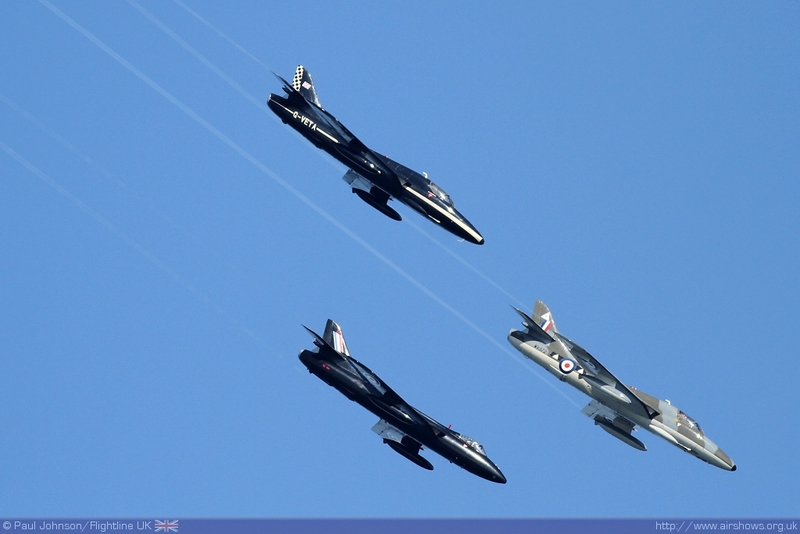 These dates do take into account the dates of the mid-season break that break that many of the military displays have but late on in the planning process the Royal Air Force shifted its leave earlier due to events in early August. 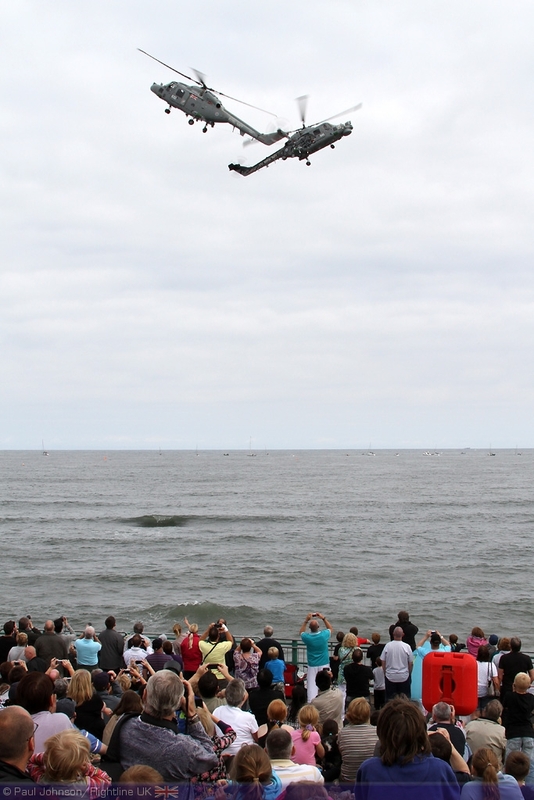 That left just a few acts available to Sunderland from the military, but further cuts and particularly those in Europe hit Sunderland further when the Royal Netherlands Air Force was forced to withdraw the F-16 solo display that has been a popular feature of the show for many years. 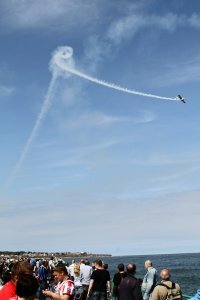 To say the military was not engaged with the show though would be wrong. 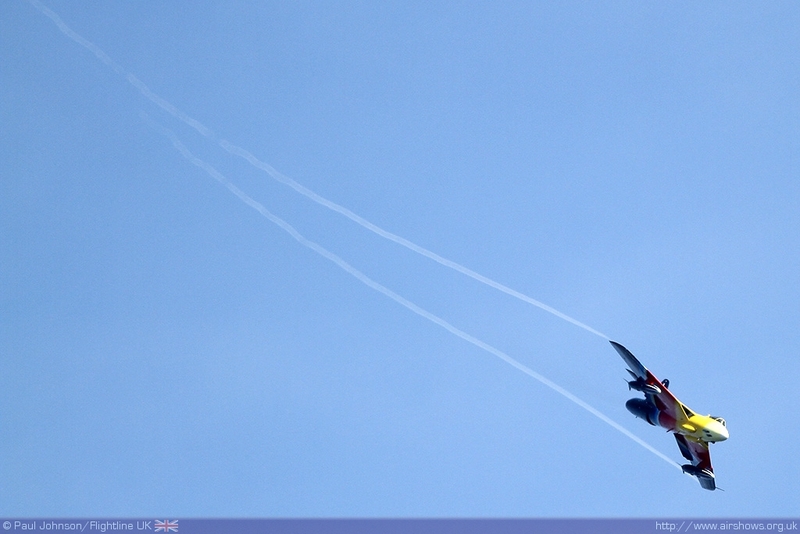 The usual collections of ground shows were out in force and in particular there was an impressive display from the RAF Tornado force at RAF Marham highlighting the various roles of the armorers and technicians working there. 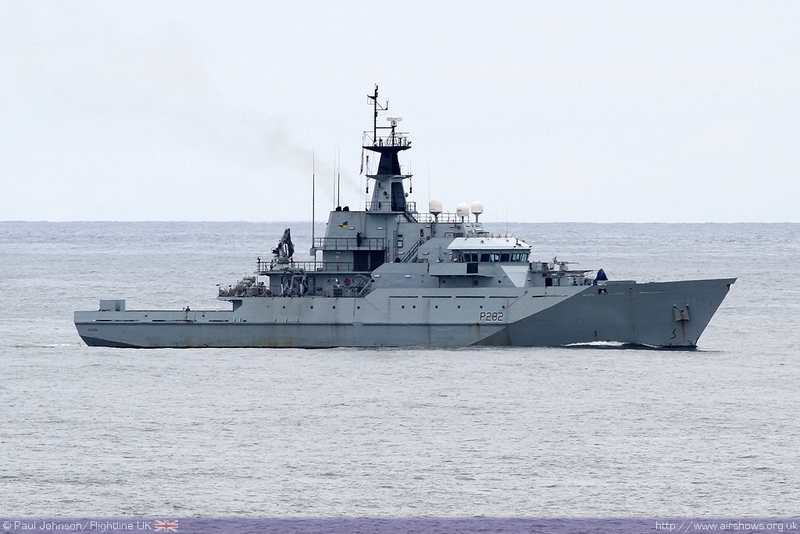 The Royal Navy were also out in force with HMS Severn visiting the seafront on Saturday. The show actually got underway on Friday evening with an impressive launch event. 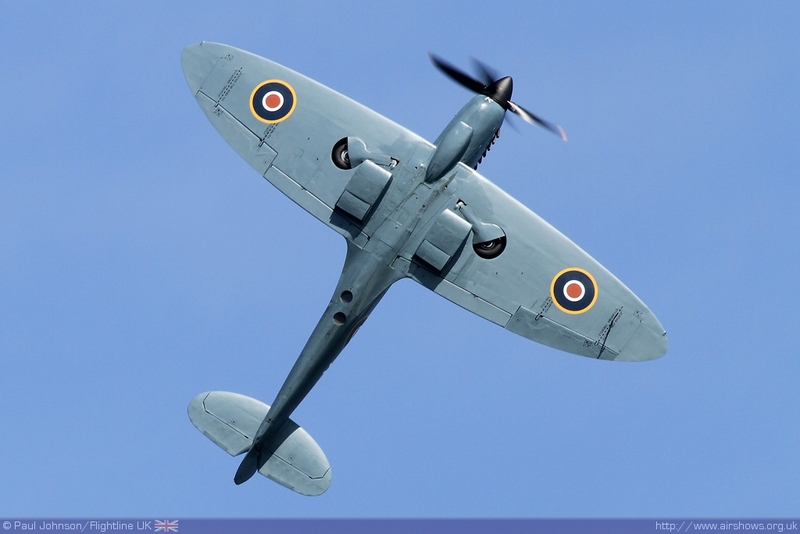 The Band of the Royal Air Force Regiment got things underway and was supported by a solo display by Peter Teichman in his Spitfire PR.XI during their set. 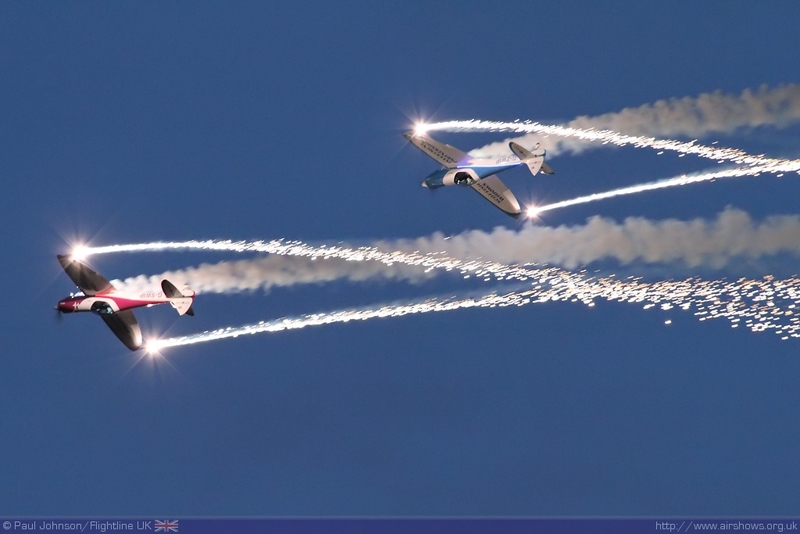 They were followed by 1970’s rockers 10CC who took the party into the night. 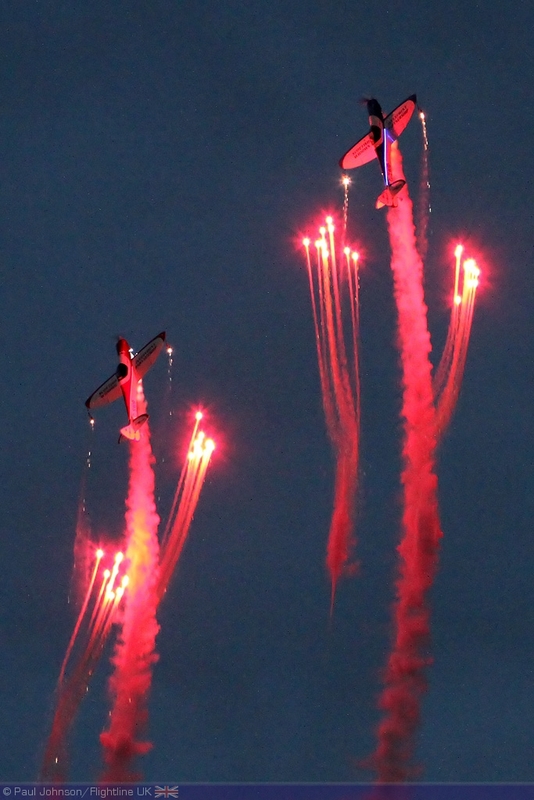 As they closed the SWIP Team appeared performing one of their stunning pyrotechnic display in the fading light on the sunset before a tremendous fireworks finale! 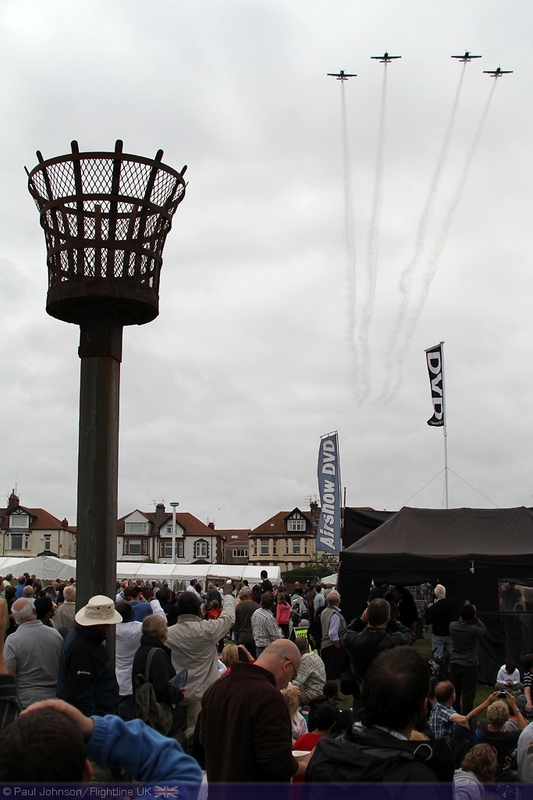 Fortunately, the show days enjoyed fine weather and massive crowds. 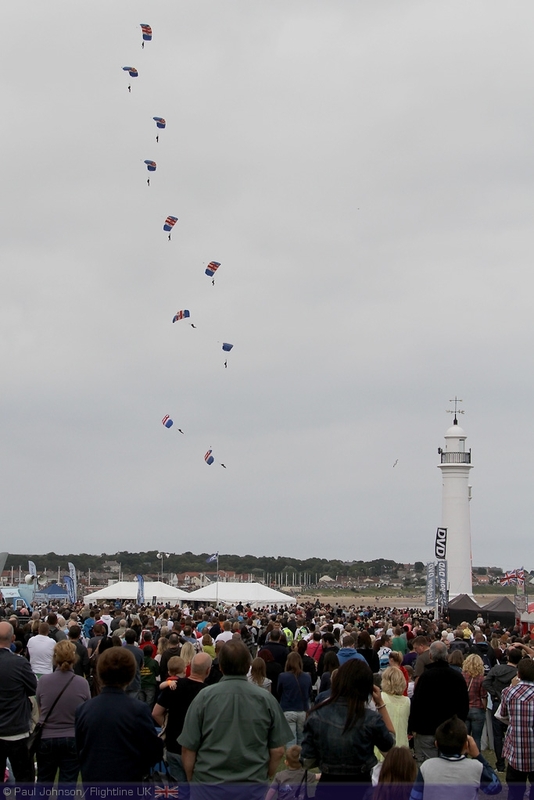 On Saturday the flying displays were opened by the Royal Air Force Falcons Parachute Display Team operating from a civilian Cessna Skyvan and their entrance was very warmly received. 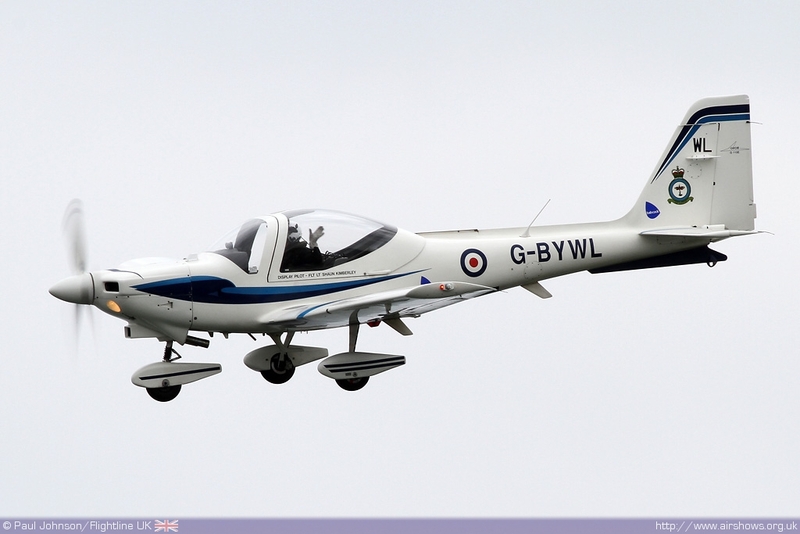 They were followed by the only other RAF participant, the Tutor T1 display flown by Flt Ly Sean ‘Kimbo’ Kimberley with his usual impressive display of aerobatics in the RAF’s primary trainer. 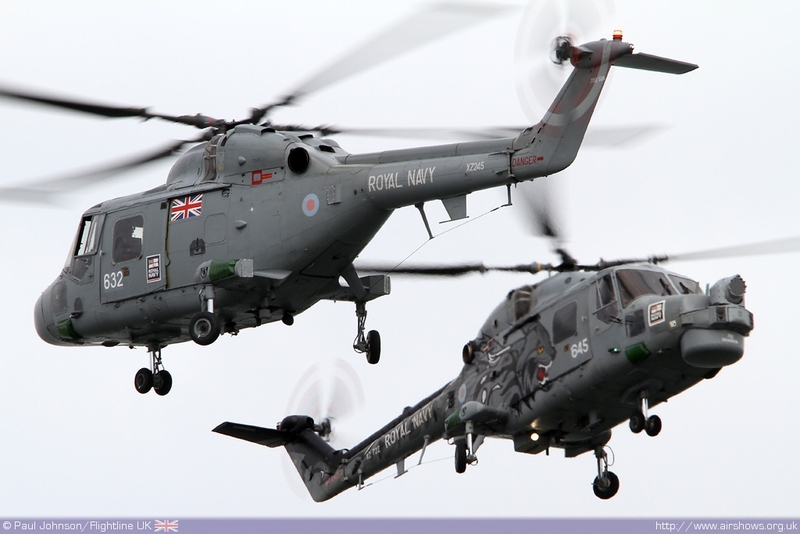 The Royal Navy also appeared in the flying display with a very tight and up close display by the Black Cats Helicopter Display Team flying a Lynx HAS3 and HMA8. 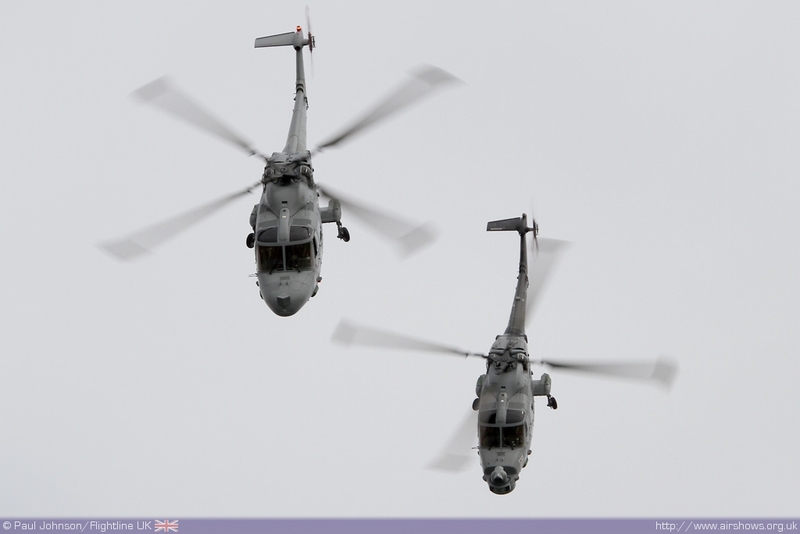 Sadly the scheduled Merlin HM1 display could not make it to Sunderland due to a lack of available serviceable aircraft! 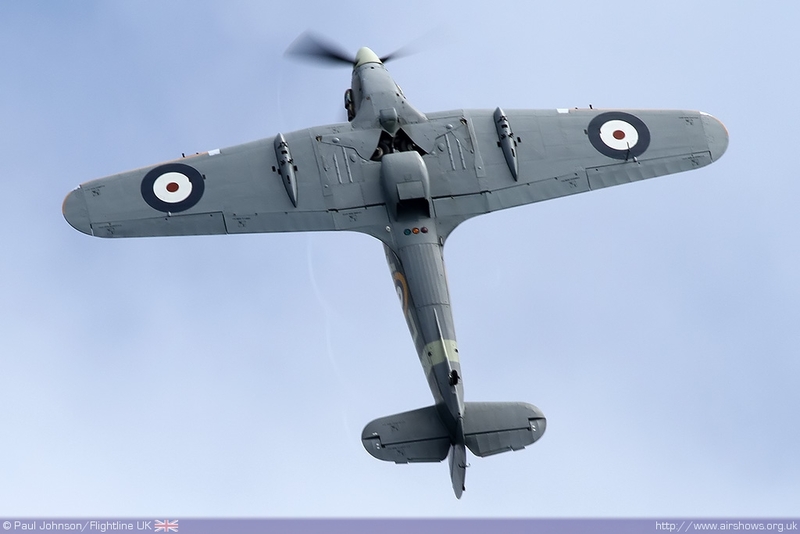 With the much reduced military participation, the door was left open for a number of classic jets, warbirds and some high profile civilian acts to participate at the show and entertain the huge crowds. 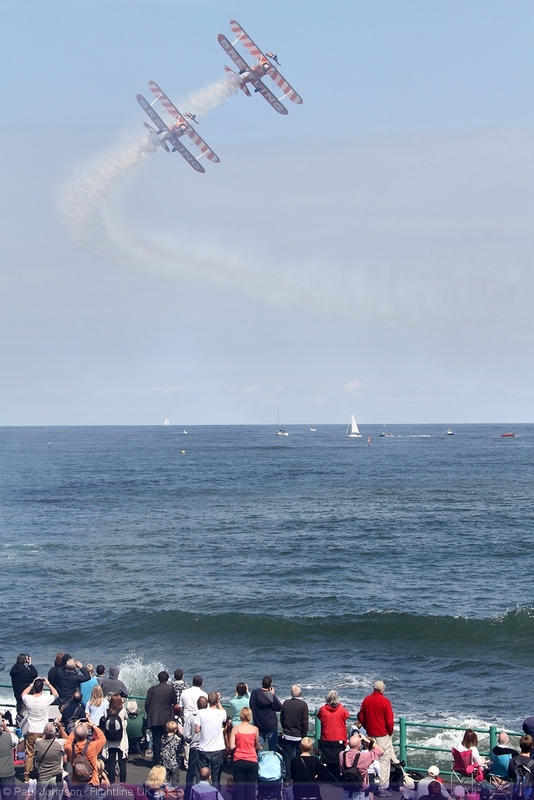 Firm favourites at any seaside airshow are the Breitling Wingwalkers and they did not disappoint at Sunderland with a very close and in your face performance making great use of the topography of the venue for their barnstorming display. 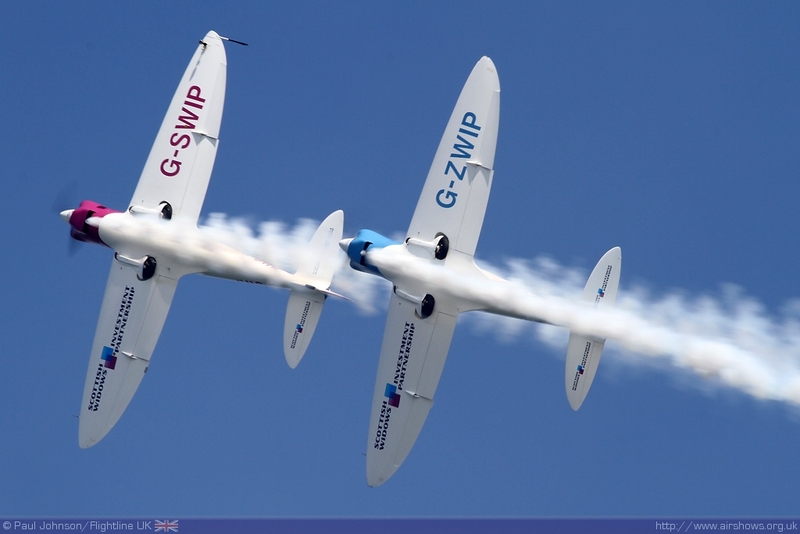 The SWIP Team also appeared during Saturday’s display and there were joined by a number of other “duos” from the display circuit. 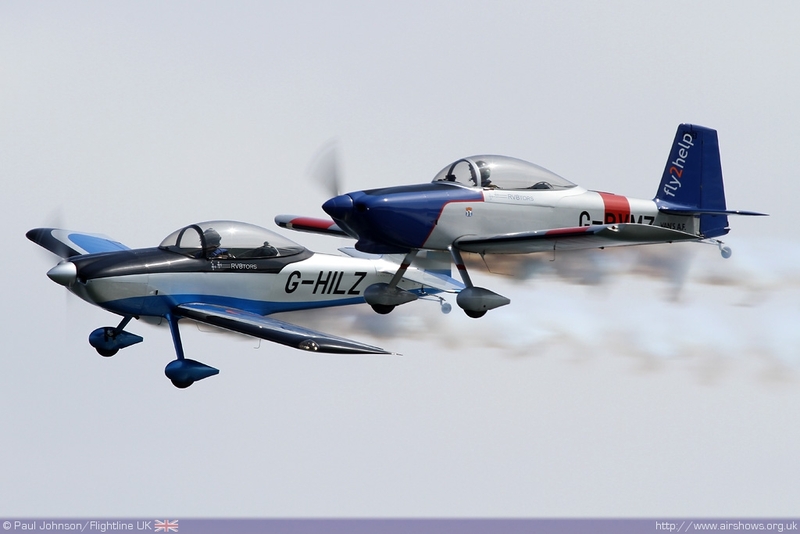 The RV8tors have been a popular addition to the display circuit with their fast paced Vans RV8s flown by Alister Kay and Andy Hill. 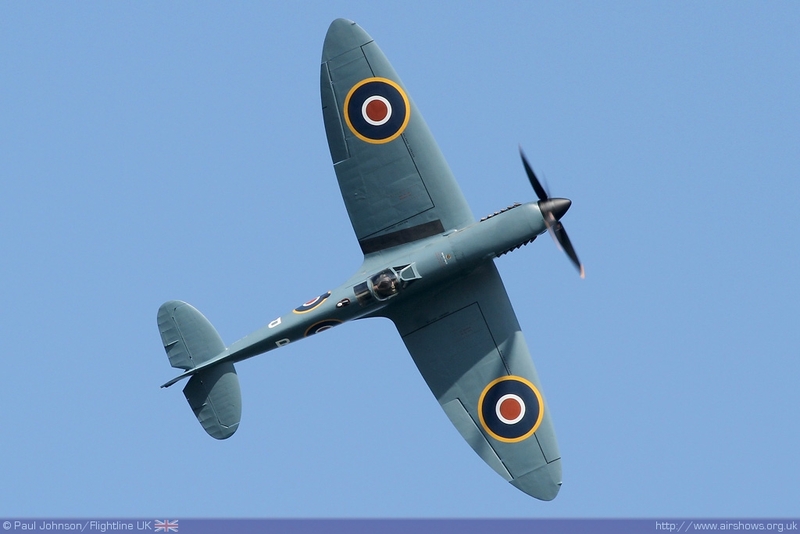 The team are in partnership with Kemble based charity fly2help during the 2011 helping to a “text to win” competition to fly with a Spitfire. 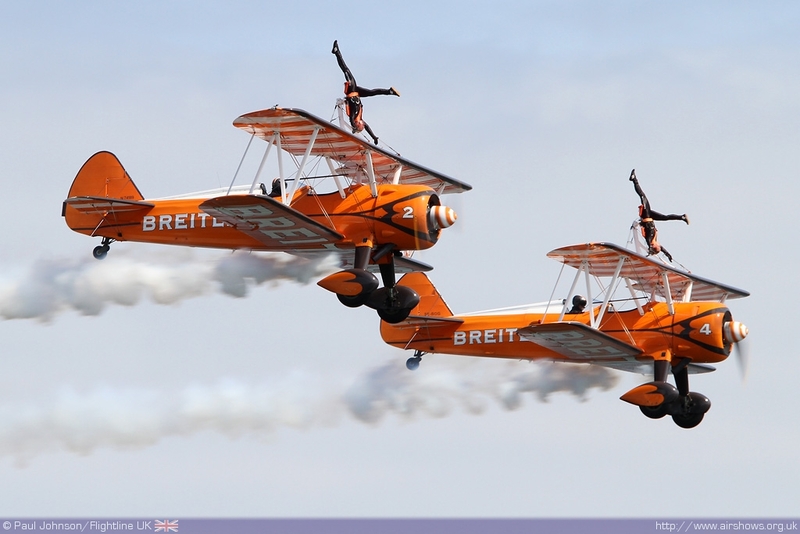 A familiar team with new aircraft are the Matadors. 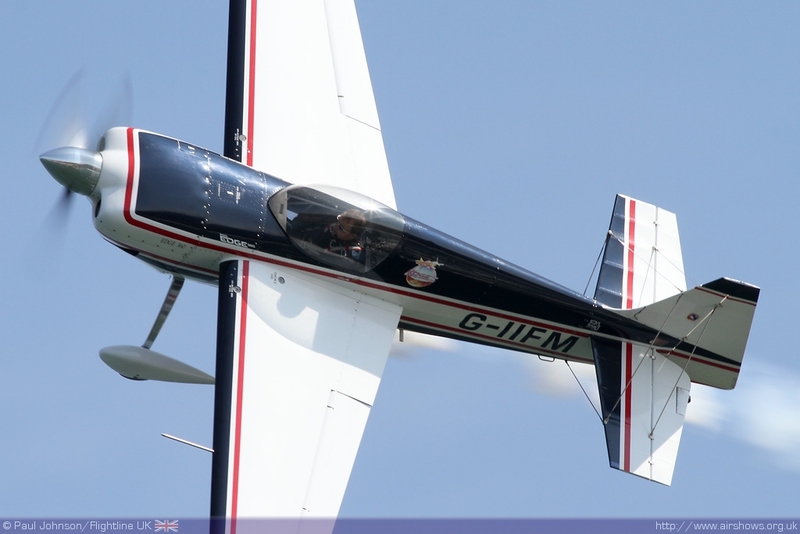 The team have now added the new Sbach 300 unlimited aerobatics machine to their display. 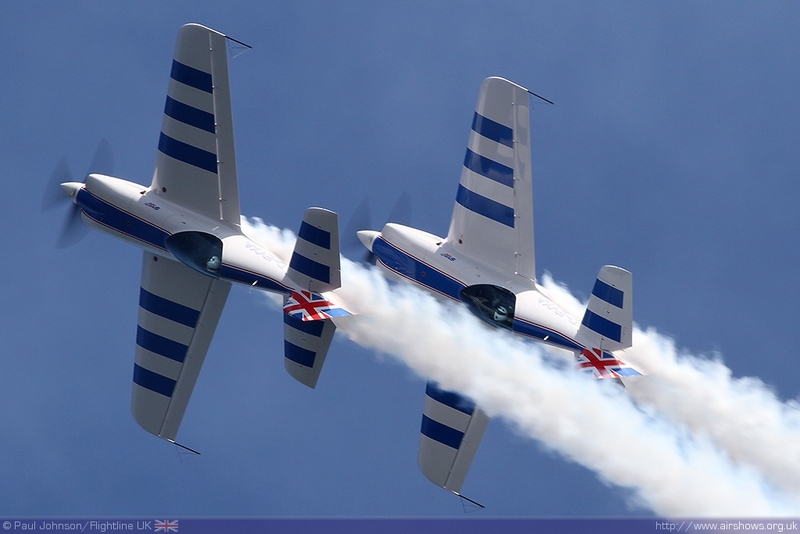 Their old Sukhoi Su26 aircraft have great presence thanks to their large radial engines. 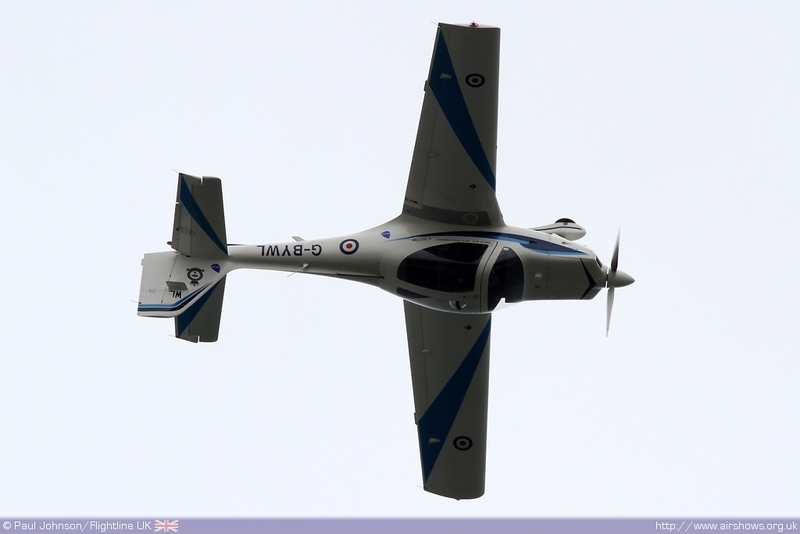 But the newer German Sbach has an equally impressive presence with its engine noise and large stubby wings. 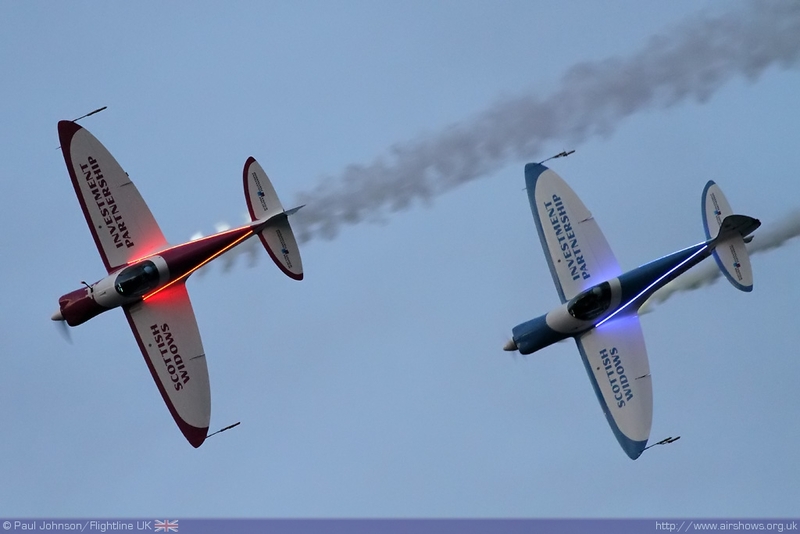 Unlimited aerobatic champion Gerald Cooper was also due to display a Sbach, but instead displayed the Edge 360, the predecessor of the Red Bull Air Racing Edge 540. 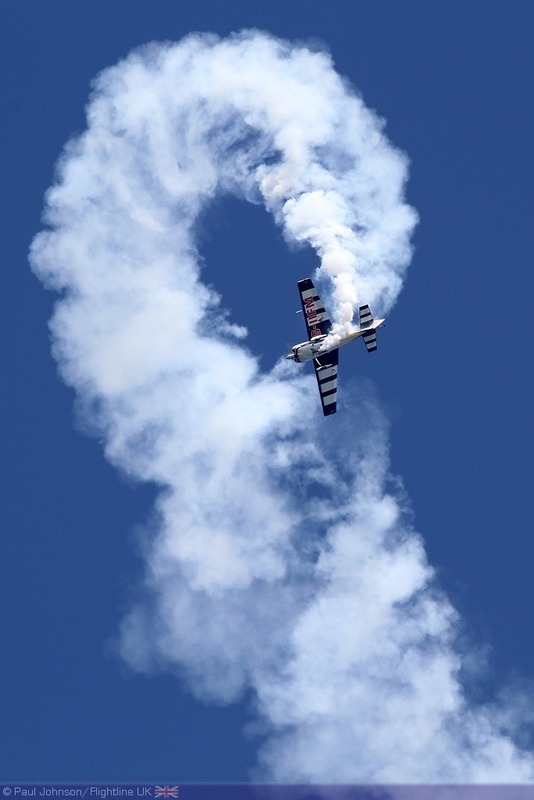 Gerald’s display is unlike any other aerobatic display with some very unusual attitudes and figures included within his display. 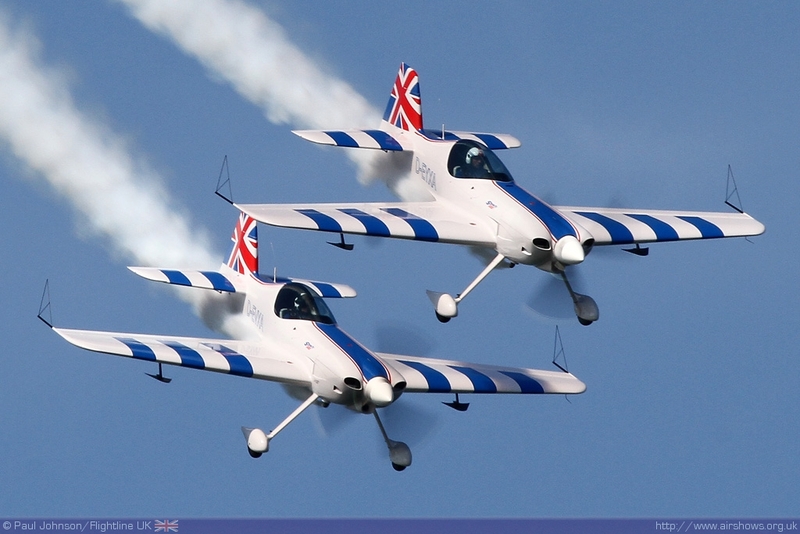 Completing the line-up were the Blades with their four Extra 300LP aircraft. 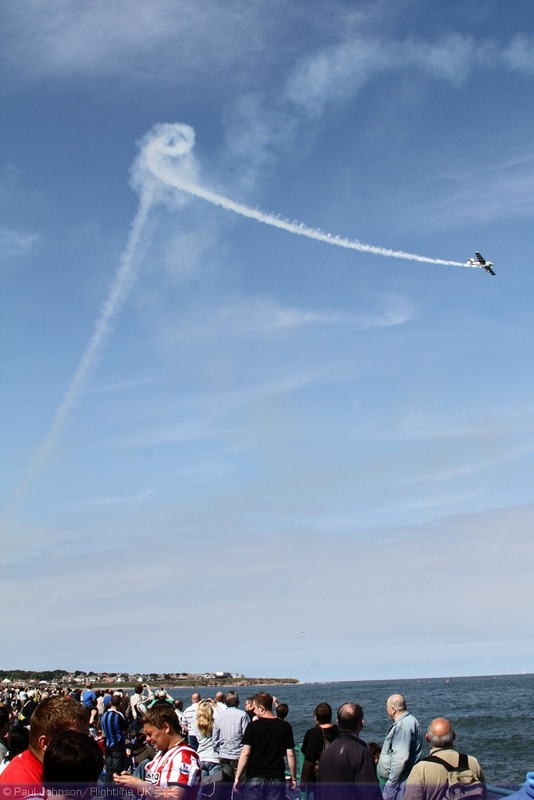 The Blades were perhaps the closest thing in the flying display to the Red Arrows and performed a typically faultless and precise display over the bay. 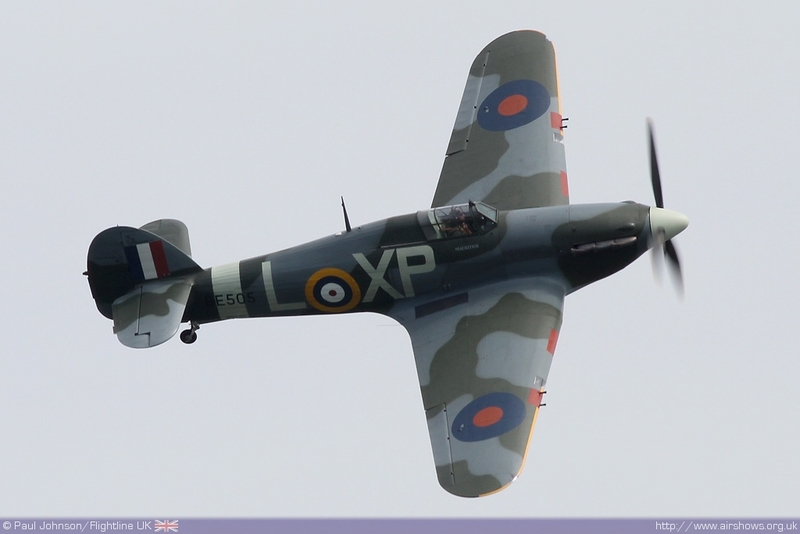 There was a very varied selection of historic types in the flying display Peter Teichman had a busy day displaying both his beautiful Spitfire PR XI and Hurricane IIb during the afternoon representing the RAF’s iconic wartime fighters. 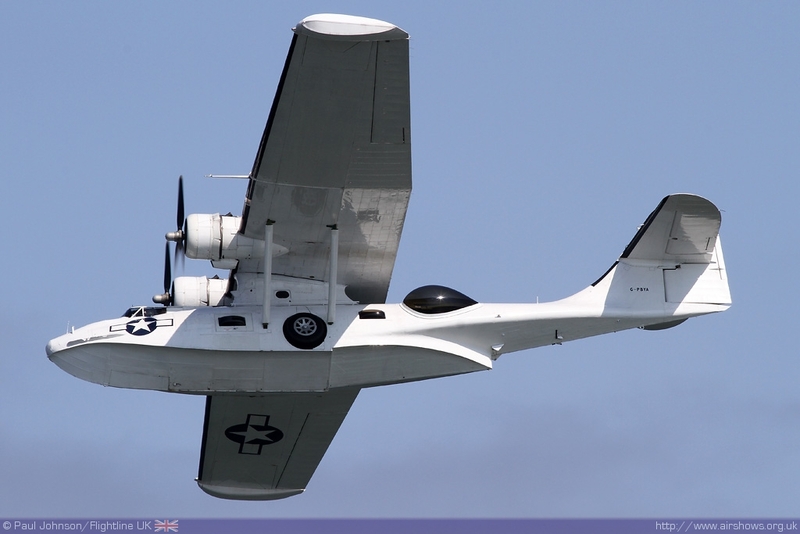 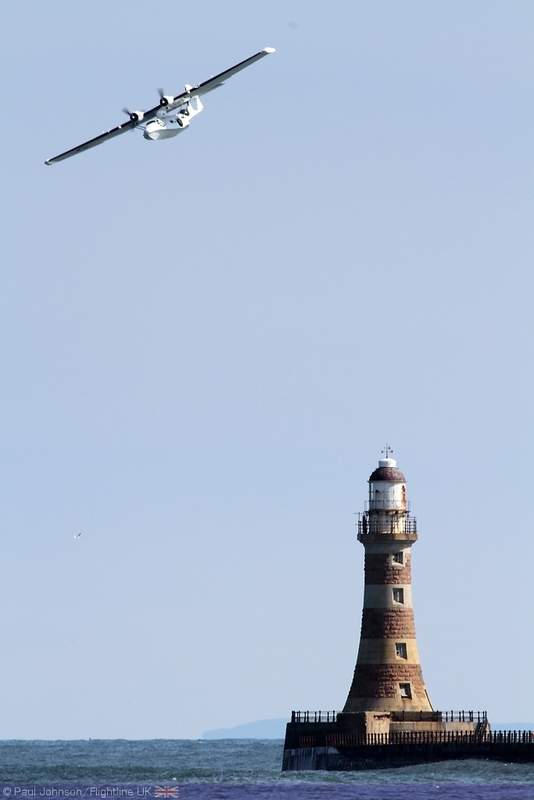 A heavier piston warbird in the flying was Plane Sailing’s Consolidated PBY-5A Catalina which looked at home displaying over the harbour wall and lighthouse to the south of the display site. 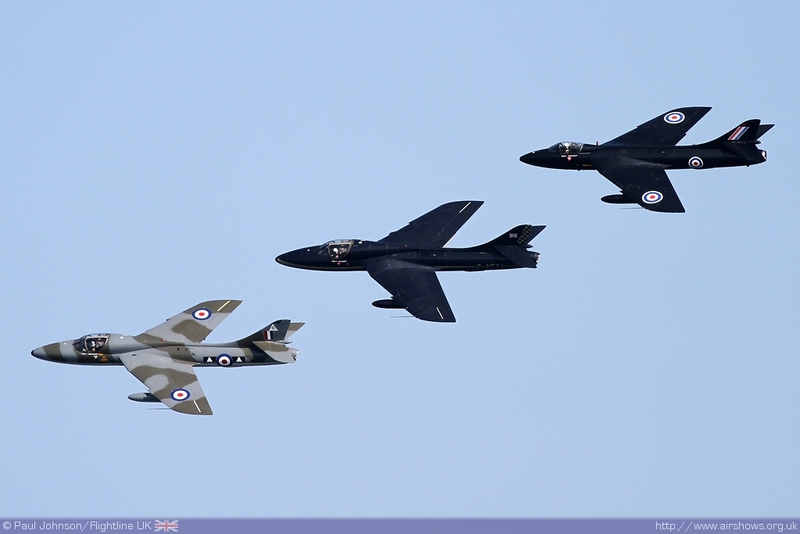 Classic Jets were also well represented. 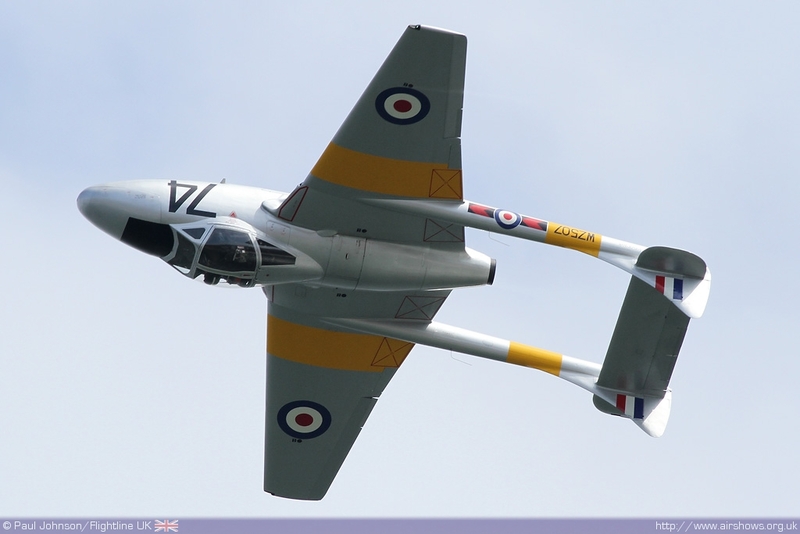 The Vampire T11 from the Vampire Preservation Group looked stunning against the clear blue skies and put in a great display bringing the jet as close as possible to the spectators. 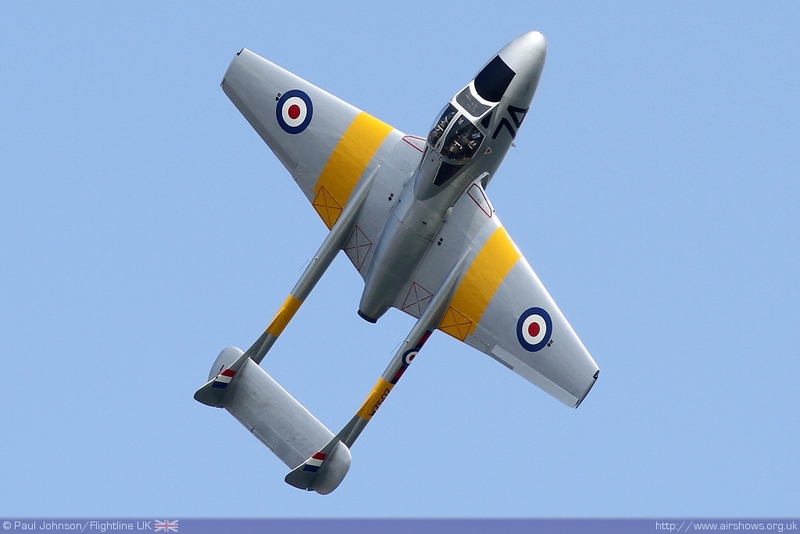 It’s display at Sunderland was its last before some major maintenance which will see a new engine installed in the vintage jet to keep the aircraft flying for many years to come. 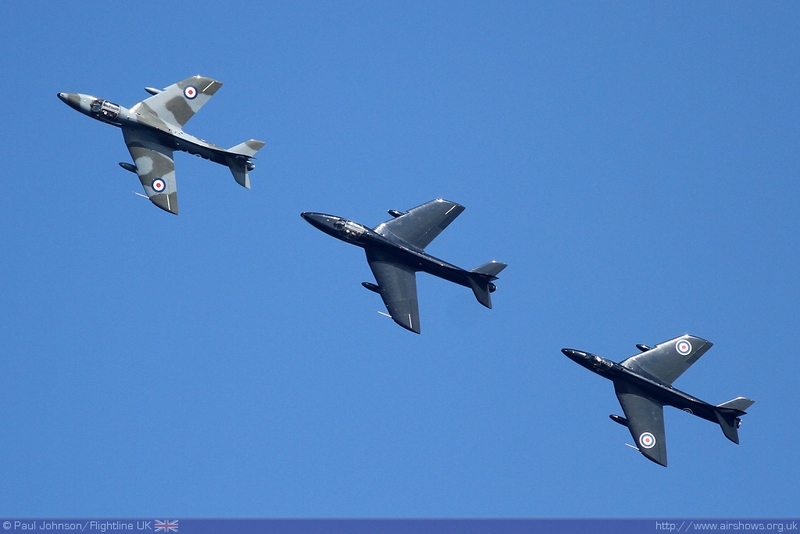 The 60th Anniversary of the Hawker Hunter was well covered in the display. 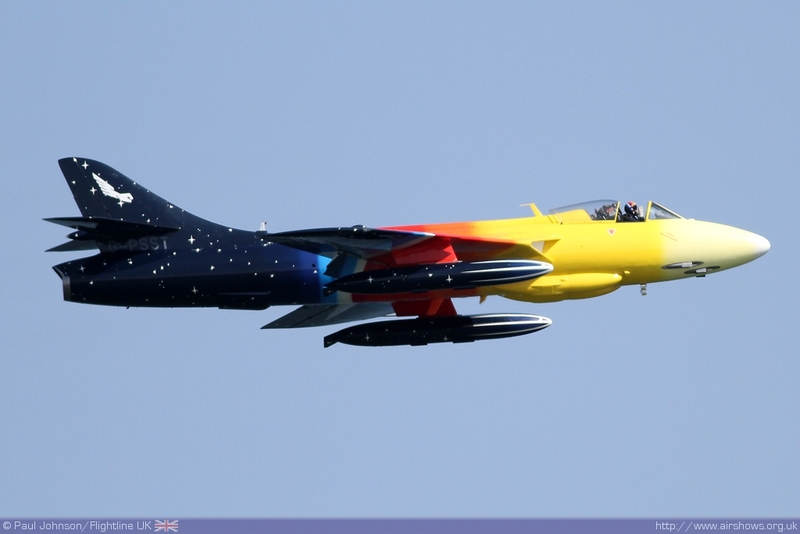 Jonathon Whaley gave his usual stunning display in his colour Hunter F58a Miss Demeanour while Team Viper provided a three ship of the iconic jet to close the show on Saturday. 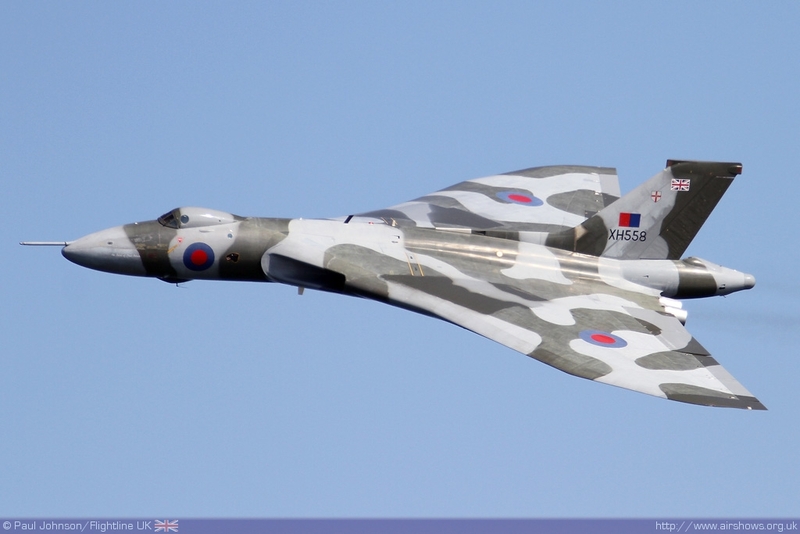 However, the star turn this year was the Avro Vulcan XH558 which appeared toward the end of both days display. 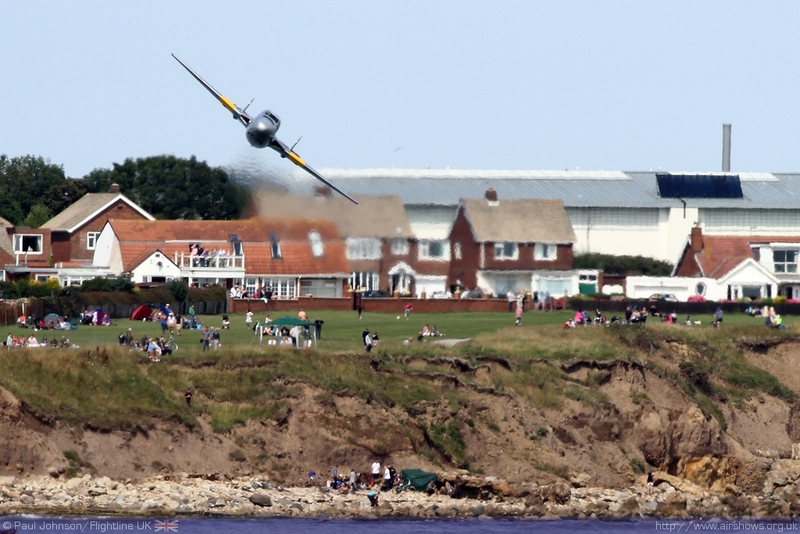 With the aircraft now based at Doncaster, Sunderland is one of the more local shows for the aircraft and a very important one thanks to the massive exposure the project gets from the massive audience and press coverage the show gets. 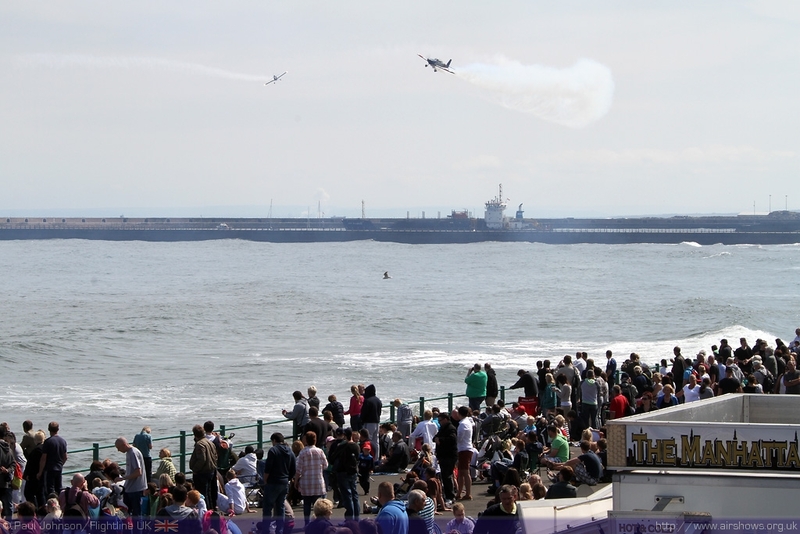 While the lack of modern military participation may have been a hindrance to the organisers, it certainly did not stop the Sunderland International Airshow being a very successful and entertaining day out at a very attractive location which is what seaside air displays are all about! 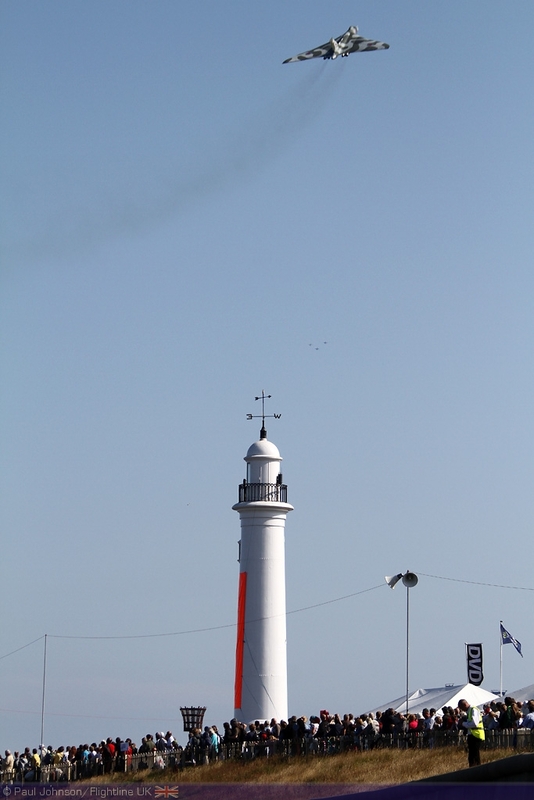 Well done Sunderland!